Wild desert cacti are vicious buggers. And apparently they don’t like me. I got stuck several times while geocaching off-road near Primm, NV. Desert geocaching is surprisingly fun, even though the routine is pretty much: drive 0.2 miles, look for pile of rocks, sign log, rinse, repeat. 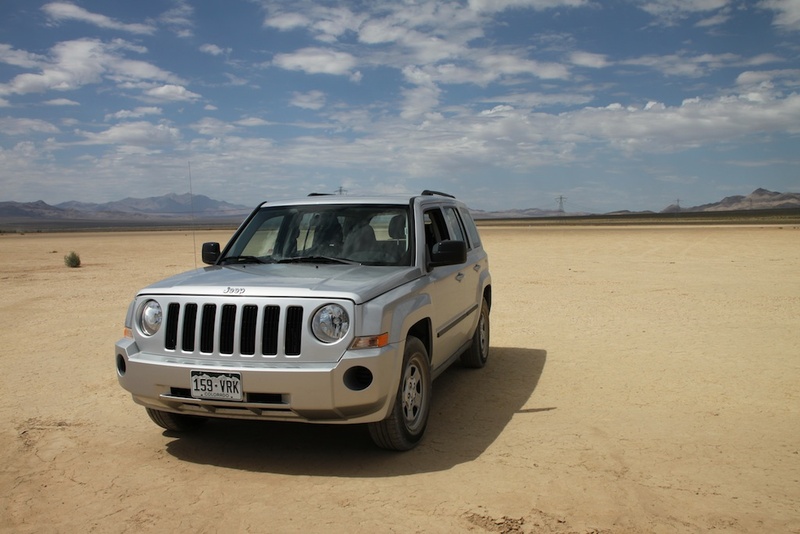 Even though we’re really not meant to take the rental car off road, the four-wheel drive Jeep Patriot was much better suited than the little Toyota we had last time. 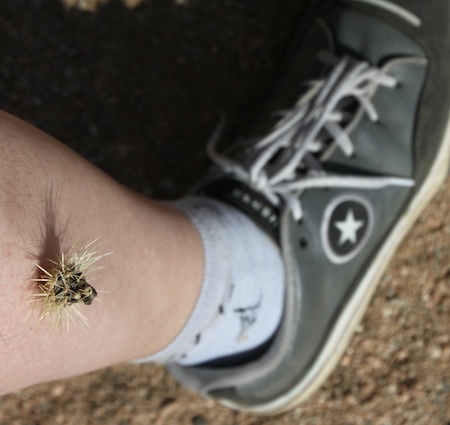 My natural reaction to a hostile cactus attack was to take pictures first, remove the sharp things that had sunk into my skin later. Thankfully I didn’t meet any snakes. I don’t think this strategy would have been good enough. How far did you venture from the road? Might be worth blatting out the plate, unless you fancy a bill from the hire company?